Sergei Vardomatski is a CEO at HQSoftware, a software development company founded in 2001 to run innovative projects. Today the company has a headquarters in Tallinn, Estonia, a development hub in Minsk, Belarus, and a front office in New York, the USA. HQSoftware now pays the most attention to such technological domains as IoT, AR and VR. To cater to the customers’ needs, the company provides consulting services and builds R&D centers to help them evolve. All of this is done by a team of talented and hard-working individuals. First, HQSoftware growth trajectory can be best described by the employee growth amount. Our team increased by 45%, which is an occasion for pride, as the company values its employees as the most important key to success. Second, the company increased the number of projects in our key domains IoT, Augmented Reality and Virtual Reality. The team is putting their energy into interesting and innovative projects. The company’s greatest achievement in 2018 was to grow the domain expertise: HQ employees have attended tech events, organized meetups, participated in hackathons. The specialists have mastered their skills and acquired new knowledge here. In 2018 HQSoftware has also made it to the lists of top software development service providers, consulting service vendors, IoT, AR and VR best developers. The company has been spotted by such research agencies as Clutch, GoodFirms, Inc. 5000, and more. Usually, there are two ways clients contact HQ. It is either the website or a telemarketing specialist who reaches out the client. Then a sales manager takes part, and a client is asked to discuss a ball-park quote, a project scope, deadlines, and assumptions. When everything is set, a project manager confirms the project scope and requirements, offers the most appropriate project model, resolves general project flow issues, and more. Then a development team kicks in with a business analyst if required. When the project deployment starts, a dedicated team of developers, QA engineers, designers, and a PM is organized. We offer our clients three engagement models: Time and Material, Fixed Price, Dedicated Team. Time and Material is the most suitable for clients who want to change the scope of work, obtain full control over the development team, and prefer payments by hourly rates. Some clients find a Fixed Price model suitable because their project has a fixed scope of work, a determined deadline, and thus demands little management of the team. Dedicated Team is for those clients who opt for a full-time extension of their own team. HQ’s specialists work as client’s employees. For the issues that stand out, we build an R&D team to examine the problem thoroughly, gather necessary knowledge, and create a piece of intellectual property that fully belongs to a client. For HQ vertical expansion would mean producing its own IoT hardware and AR/VR related appliances, which is not a priority right now. Now HQSoftware is a one-stop vendor of full-cycle custom software development services for web, mobile and desktop. Horizontal expansion of our expertise and services is driven by employees who possess valuable knowledge and skills. They introduce their unique experience to our projects and thus allow the company to provide clients with extra expertise. The company’s most important outlook is to grow a stronger team of professionals. There is a plan to sustain employee growth at a present rate. Another important outlook is to continue acquiring IoT, AR and VR development expertise by growing the number of relevant projects. One of the ways to achieve this is to expand the presence on the market of the USA. In addition to technical expertise, HQSoftware pays attention to soft skills and support their development by applying a culture code. It is a set of behavioral markers that describe the good conduct that the company supports and values. It helps employees to get rid of bureaucracy and increase productivity and job satisfaction. 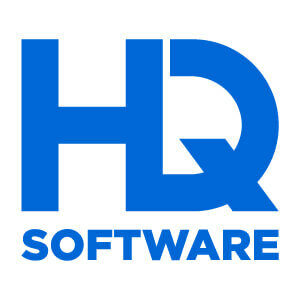 HQSoftware will continue to focus on Internet of Things, Augmented Reality and Virtual Reality domains. The company pays much attention to the employees who directly work with the above mentioned technologies. It helps them practice more, visit thematic conferences and workshops, share knowledge in inner competency centers and at meetups, and more. Both Node and React development methodologies have changed due to the modern requirements for application development. Now the frameworks that support cross-platform development are much more convenient for mobile apps creation. There still will be business cases where native application development is a must, but their number will gradually reduce. According to HQ’s assessment, a widely promoted new framework Flutter will definitely have a place among the development trends of 2019. But it is too early to say Flutter will dominate the whole market – only time will tell. Speaking about the development methodology, at HQ we believe that the technological stack does not determine it. The most flexible and versatile methodology is Agile and HQ will stick to it. HQSoftware team believes in the power of corporate culture that unites employees and allows for self-management. There is no need for strict rules and bureaucracy when the needs of employees, customers, and the business itself are treated equally, and when people collectively understand the importance of their work. Research agencies provide valuable marketing information for clients who want to hire the best service providers. The agencies distill information through a lot of resources before putting a particular label on a service provider. Agencies’ websites also provide a convenient platform for client’s reviews and comments on a provider’s performance. To sum up, ITFirms and other agencies do bridge the gap between clients and service providers by collecting data valuable for clients’ decision making in one place.